Village Glen School believes children show the most growth when they are in a safe, predictable, and structured learning environment. The school’s social skills philosophy is to highlight what a student is doing correctly, rather than focus on inappropriate behaviors. Throughout the day, students are reinforced with immediate, specific, and positive feedback each time they demonstrate appropriate behaviors or approximations thereof. Students at Village Glen are taught social skills on a daily basis, via Judith Coucouvanis’ “Super Skills” program, which is the core curriculum for grades K-12. This curriculum is supported by Brenda Smith Miles (author of “the Hidden Curriculum”) and reflects all the key concepts underscored by Michelle Garcia Winner’s Social Thinking curriculum and Tony Atwood's research. Teachers use a developmental approach and may utilize students who move at faster pace as role models or peer mentors to the other students. The Super Skills’ “Steps to Success” are published each week in the campus newsletter, which is sent home to each family every Friday. This allows families to practice and reinforce the skills teachers are working on during the week. In addition to the Super Skills curriculum, the Village Glen Middle School includes featured elements of the “Peers Program” by Dr. Elizabeth Laugeson and Dr. Fred Frankel. The Peers Program is a school-based, teacher-facilitated social skills training model for teenagers with Autism Spectrum Disorder. October is designated as Bully Awareness Month at Village Glen. During the month, students learn to identify the various types of bullying (physical, verbal, written or typed, and/or exclusion) and the types of interactions (those who bully, those who are bullied, and those who witness bullying). There is a focus on how to deal and report bullying; teasing is also addressed. 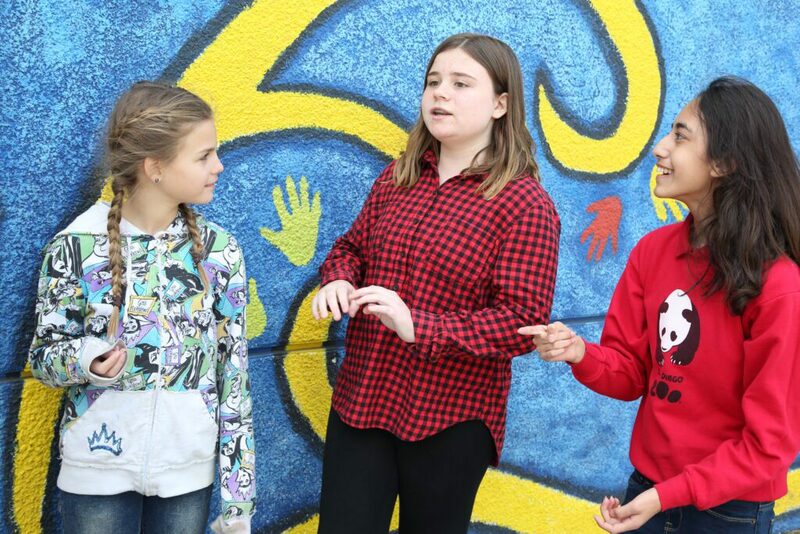 Students are taught the difference between teasing and bullying, as well as specific strategies and verbal comebacks for handling verbal attacks. Lessons are taught via instruction and role playing. Since computers and the internet are integral aspects of any student experience, the essential topics of “netiquette,” personal safety, online predators, cyber-bullying, and ethical decision-making are part of the Village Glen social skills curriculum. Village Glen will once again hold a two-day workshop on October 24th and 25th with cyber education expert, Lori Getz. The workshop will include students, staff, and parents, and will focus on a variety of issues and topics related to personal online safety and practices. As children mature, it is important they understand their physical development, personal hygiene, and respect for physical and social boundaries. To address this, Village Glen includes these issues within the scope of daily social skills instruction and has adopted the Special Needs version of the FLASH (Family Life and Sexual Health) Curriculum for its students in sixth grade and beyond. Please note: The entire Special Education FLASH curriculum is available online; parents are encouraged to refer to it in order to review and reinforce topics covered each week.